Good design with integrated case/keyboard. Micro SD Card expansions available. Micro USB can be used for charging. Keyboard and track pad good to use. Fingerprint magnet, on both screen and case. Difficult to hold in tablet mode with the case attached. Case not very supportive when used on the knee. Low quality camera’s front and rear. Windows took and absolute age to update. Screen 12,2″ 1920 x 1200 pixels. Processor (CPU)Intel AtomTM (up to 1.83GHz). Display Multi points Capacitive Touch Screen. Connectivity Wi-Fi 802.11 b/g/n, Bluetooth 4.0. Camera (MP) 2MP 2MP (Front & Rear). Connectors USB, Headphone, Mini HDMI DC Jack. Micro SD, Micro USB (For Charging Only). Battery Life Up to 8 Hours. Dimensions Approximately 300 x 206 x 11.8 (WxDxH) mm excluding keyboard keyboard. Approximately 300 x 213 x 24.6 (WxDxH) mm with keyboard. Weight Approximately 907g excluded keyboard, 1500g . 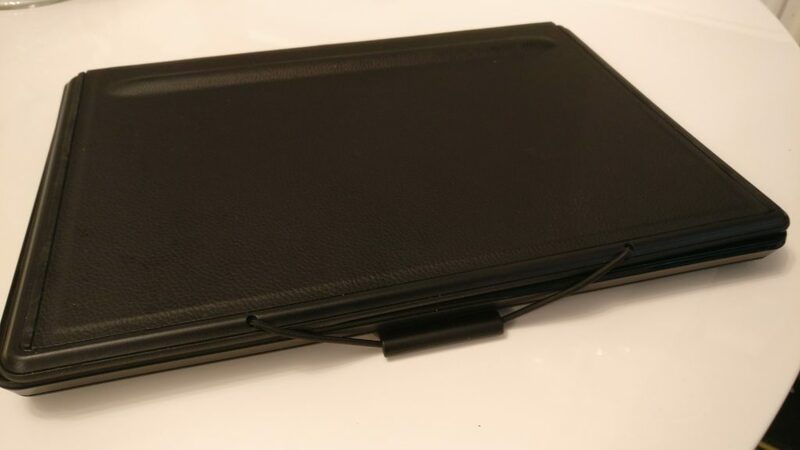 The PrimePro 12 TS is basically a 12 inch Windows tablet, but with a leather keyboard case attached. It’s similar in appearance to a Microsoft Surface/ case setup. 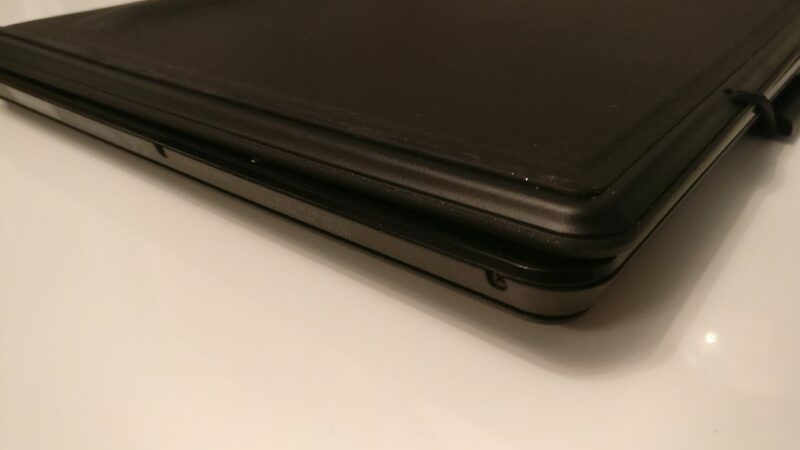 The tablet connects to the case via a magnetic connector, which lets you switch between tablet and notebook with ease. I say ease, but the magnetic connection is really strong, so it does need a really good pull to get the two to separate. The keyboard is the standard chicklet-type case style and I did find it quite pleasurable to type on. There is a specific Windows key that opens and closes the Windows Start screen. Below you’ll find the trackpad, which was very responsive, although for the life of me I couldn’t get the scroll direction to reverse (down to scroll down and visa versa ). The pad didn’t click down and I found this very hard to get used to. The keyboard features a wrap-around case which not only protects the tablet when in transit, but also acts as a prop for the screen. I found it wasn’t quite sturdy enough to support the screen while being used on your knee. The package as a whole is quite heavy, with quite a number of sharp feeling edges to its industrial design. I found that folding the case over to use in tablet mode was quite an awkward affair. 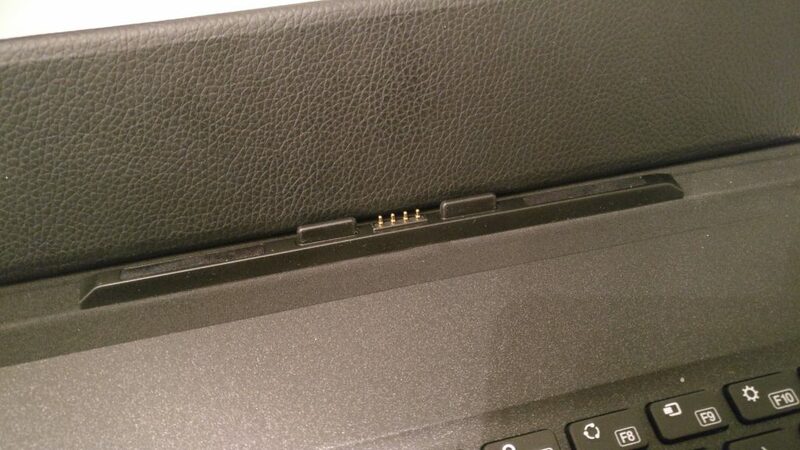 It also wasn’t pleasant to hold but was a lot better if you remove the tablet from the case first. The Venturer PrimePro 12TS boasts 4GB of RAM, an Intel Atom Quad Core brain, and 64GB of built-in storage. This can obviously be expanded thanks to the Micro SD slot. I found that this made the device able to handle Windows 10 very well, even with a multiple apps, programs and web pages open and running simultaneously. As I’ve said in previous posts, my main machine of choice is my beloved Chromebook. 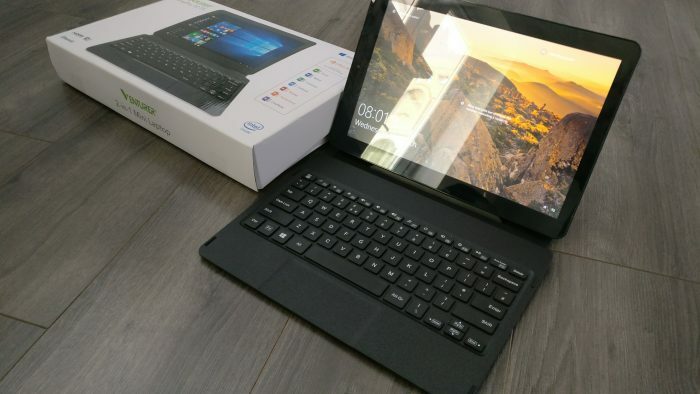 For this review I put my Chromebook away and solely used the PrimePro as my main device. The first thing I noticed was the speed that the device booted up -well under 30 seconds. This is somewhat speedy in the Windows world, but felt like an absolute age compared to the 5-6 sec boot up time of my Chromebook). The device screen is clear and sharp. I found it excellent to consume media on, especially in tablet mode. The device speakers were OK for watching a movie or podcast. The Venturer PrimePro’s internal battery should provide up to eight hours of use, but in my tests I found that 5.5 to 6 hours was nearer the mark. Apart from the extra weight and bulk, of the PrimePro, I had no issues using it at all. It did raise some inquisitive looks and comments when I was using whilst out and about. 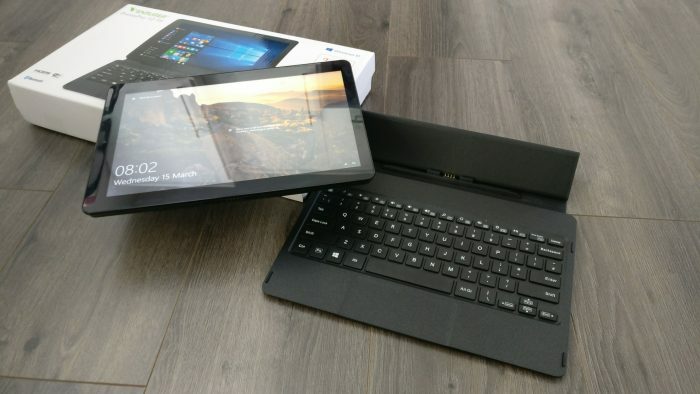 If you’re considering a Windows 10-powered device that has the flexibility of a tablet and laptop combined, the PrimePro 12 TS definitely needs some consideration. Yes the cameras are not of the highest quality, but to honest you’re never going to use it to take serious photos. They were more that adequate for video calls etc. It is a fingerprint magnet and I did find myself having to give the screen and case a wipe over more than I would have liked. I did enjoy using it. Will it draw it away from Chromebook? Well the jury is still out on that one. 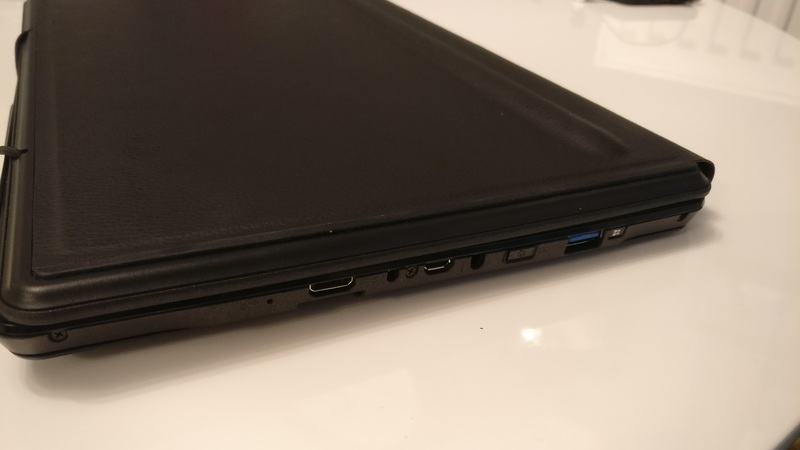 A short time ago I carried out a review of the EliteWin S 11KT mini 2-in-1 notebook. It was also created by Venturer, and you can view the full review here. Now the company have sent me through the their latest device, the PrimePro 12TS Good Points: Good design with integrated case/keyboard. Full version Windows 10. Very little overall lag. Mini HDMI port. Micro SD Card expansions available. Nice bright screen. Micro USB can be used for charging. Keyboard and track pad good to use. Bad Points: Fingerprint magnet, on both screen and case. Difficult to hold in tablet mode with the case attached. Case not very supportive when used on the knee. Low quality camera's front and rear. Quite heavy overall. Windows took and absolute age to update. Device Spec's: Screen 12,2" 1920 x 1200 pixels. Operating System Windows 10. Processor (CPU)Intel AtomTM (up to 1.83GHz). Display Multi points Capacitive Touch Screen. Memory 4GB RAM. Storage 64GB Flash. Connectivity Wi-Fi 802.11 b/g/n, Bluetooth 4.0. Camera (MP) 2MP 2MP (Front & Rear). 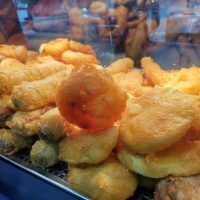 Sensor G-sensor. Connectors USB, Headphone, Mini HDMI DC Jack. Micro SD, Micro USB (For Charging Only). Audio Speakers, Microphone. Battery Life Up to 8 Hours. Dimensions Approximately 300 x 206 x 11.8 (WxDxH) mm excluding keyboard keyboard. Approximately 300 x 213 x 24.6 (WxDxH) mm with keyboard. Weight Approximately 907g excluded keyboard, 1500g . 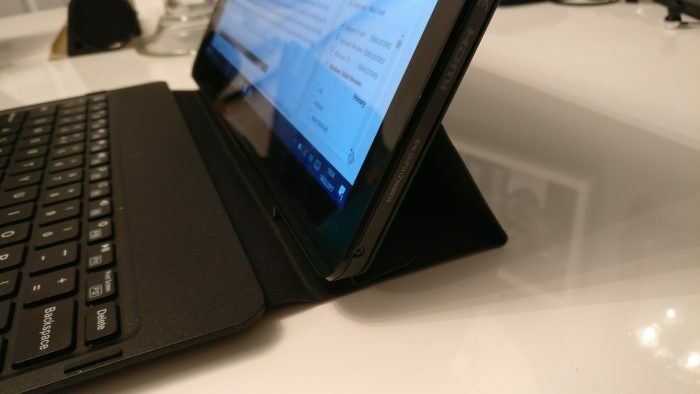 Detachable Keyboard Trackpad, Angle Adjustable Design: The PrimePro 12 TS is basically a 12 inch Windows tablet, but with a leather keyboard case attached. It's similar in appearance to a Microsoft Surface/ case setup. The tablet connects to the case via a magnetic connector, which lets you switch between tablet and notebook with ease. I say ease, but the magnetic connection is really strong, so it does need a really good pull to get the two to separate. The keyboard is the standard chicklet-type case style and I did find it quite pleasurable to type on. There is a specific Windows key that opens and closes the Windows Start screen. Below you'll find the trackpad, which was very responsive, although for the life of me I couldn't get the scroll direction to reverse (down to scroll down and visa versa ). The pad didn’t click down and I found this very hard to get used to. The keyboard features a wrap-around case which not only protects the tablet when in transit, but also acts as a prop for the screen. I found it wasn't quite sturdy enough to support the screen while being used on your knee. A great 2-in-1 tablet / notebook for the money. A high-res screen and a soft touch feel exterior.